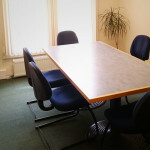 Our Boardroom features a central table that can comfortably seat up to 6 people and up to 8 people at a push. 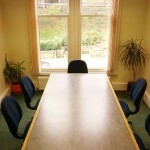 The room comes equipped with visual facilities, ideal for presentations or demonstrations. 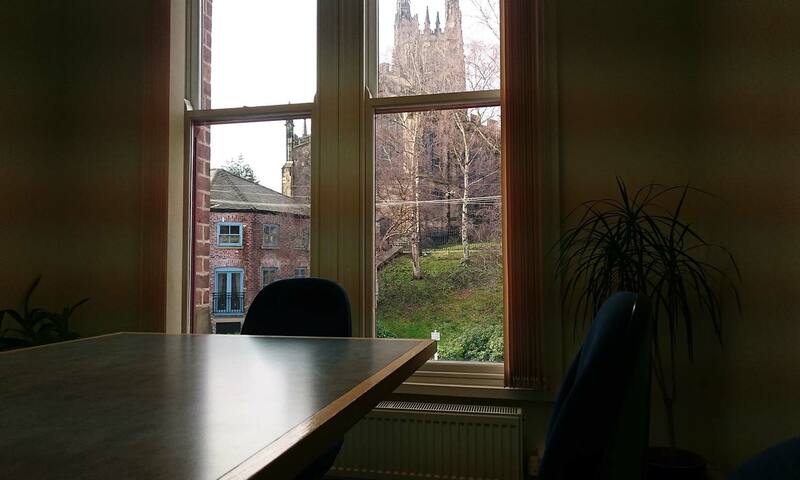 The room itself is located on the 1st floor and overlook St Giles' Church, so when your having a mental break from the meeting you have something beautiful to help take your mind off things. 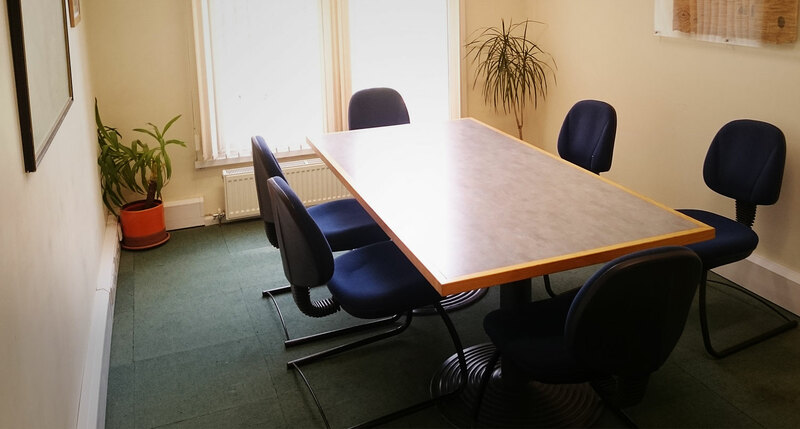 Just outside of the boardroom there is the kitchenette area that is the perfect place to make the refreshments for the meeting. 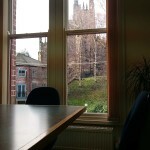 If you prefer getting something brought in for you then we are more than happy to supply lunch from somewhere local in town. 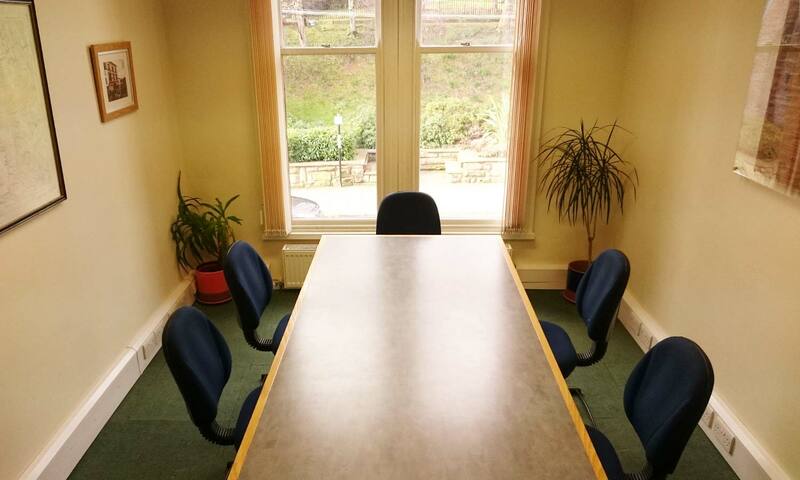 The boardroom is free to office lease holders in the building and at a discounted rate to all hot desk lease holders. 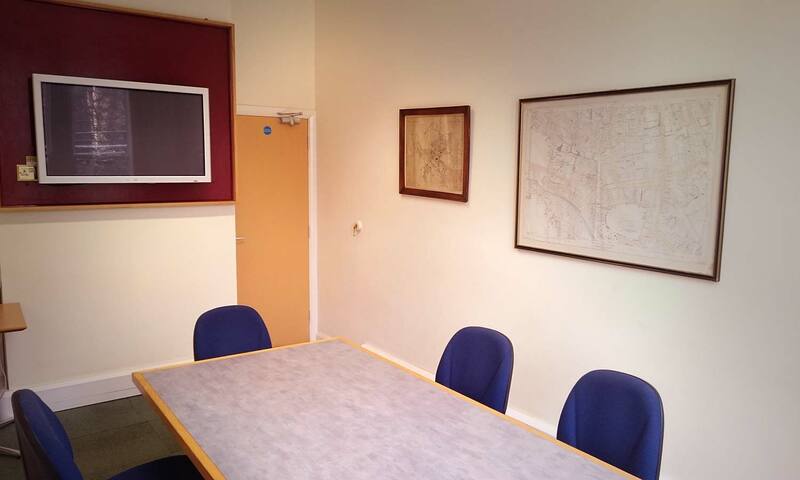 We are also able to offer discounts to non lease holders who use the boardroom on a predefined and regular basis. 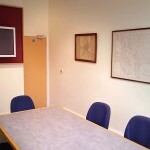 If your interested in using the space then get in touch.